Clear Hebrew text of the Five Books of Moses (Chumash) with Aramaic translations: Targum Onkelos and Targum Yonathan; commentaries of Rashi, Ebn Ezra, Rashbaum, Ramban, Ba'al Ha-Turim, S'forno, Kli Yakar, 'Or ha-Chayim, Musaf Rashi. 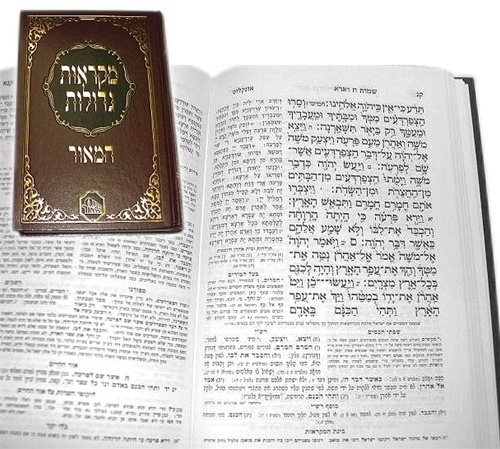 The haftarah (prophetic portion) for each weekly Torah reading follows the reading. 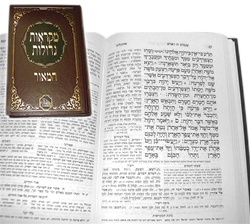 Section in back of each volume includes more commentaries-Da'at Zekenim, Perush HaRo"sh, Perush He-Chazkuni. }}This is not a photocopy of an earlier edition. All the type has been reset for legibility and clarity. If you have an older edition with hard to read texts, now is the time to buy a new edition.